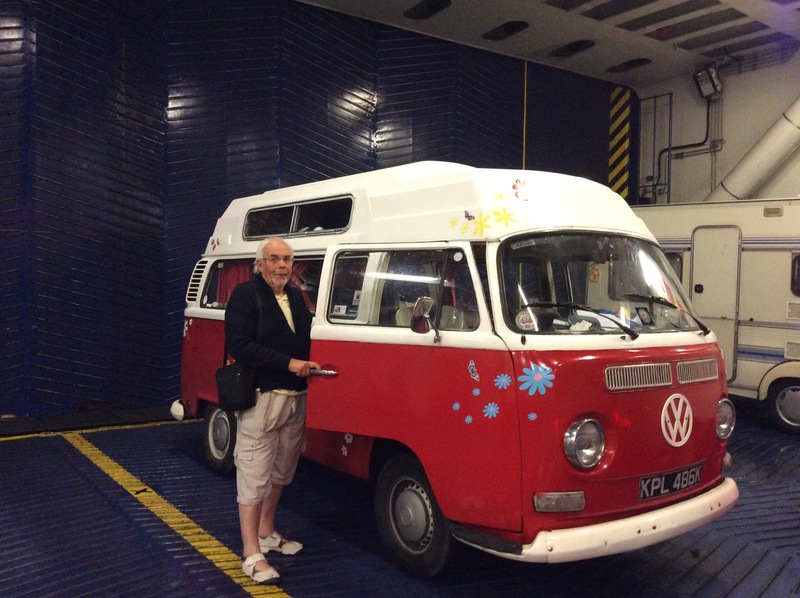 Gravatar – Yorkshire, VW camper, Mini, classic cameras, Beethoven or food? No time to think about something ‘interesting’ to say today but I didn’t like the ‘thing’ which came up as my gravatar as I hadn’t myself chosen an image. So, as I’ve declared my interest in VW T2 campers but not written anything about it yet I chose to put up a picture of my 1972 ‘crossover’ van. His name is ‘Lofty’. 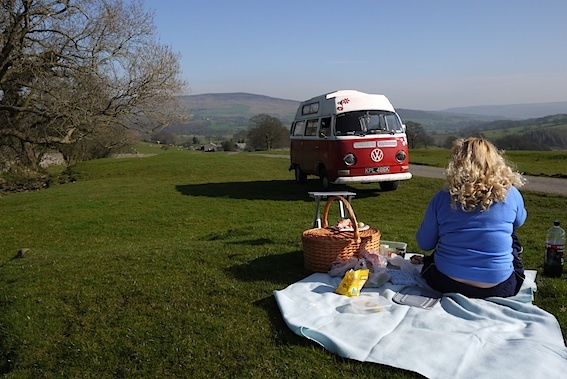 Lofty, my 1972 VW crossover camper, enjoys a picnic between Bolton Abbey and Embsay. There has been some sun in 2012! He’s well used. He’s my everyday ride and since converting to LPG last December he’s pretty economical. He’s also my ‘bed & breakfast’ as I work away a couple of days a week and he’s comfy and costs me nothing. Difficult this gravatar thing. I don’t think my mugshot is of interest to anyone, and certainly doesn’t say much about me. So, a picture from Yorkshire? 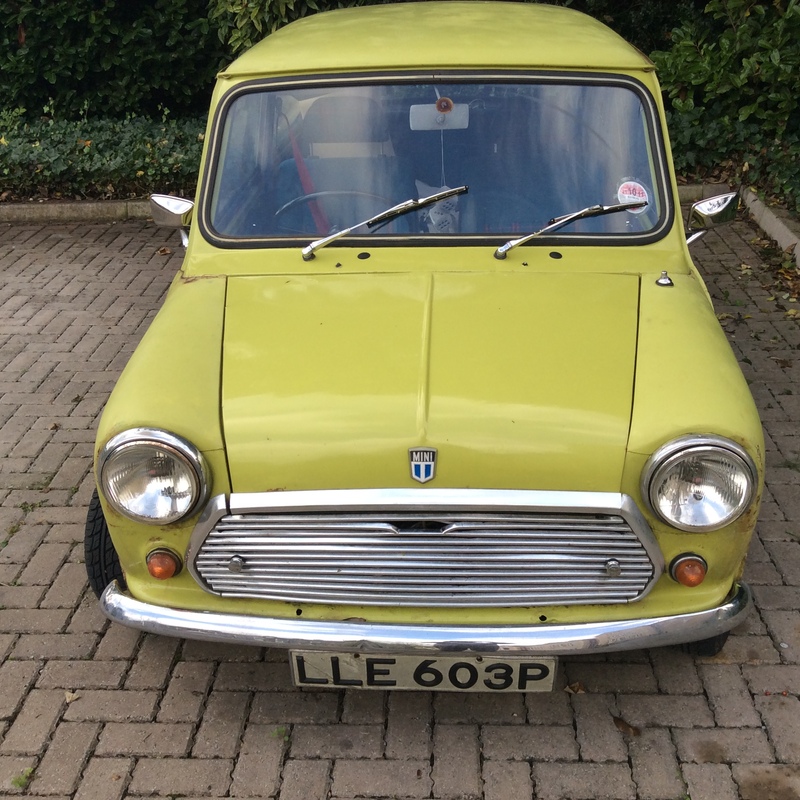 Well, I’ve got that in the header of my blog.Then there’s Lofty’s little sister – Mini, born in 1975 – but she is laid up at the moment (dreaded SORN) and needs some TLC so I didn’t think she’d be too happy to be made public. A pic of some of my ‘classic cameras’, which range from a pre-war Zeiss Super Ikonta (battered!) to an engineering wonder, the Contax AX (with its equally wondrous Zeiss Planars); or the simplicity of the massive Mamiya Press or, almost as simple, the Voigtlander Bessa T (can’t afford a Leica M4) with its wonderful 35mm Color Skopar (the digitals, a Canon 5D and a Lumix GF1 are useful, but not so interesting). On the other hand, I did think of taking a pic of my vinyl collection of the complete works of Beethoven – but that really needs some audio. And, of course, there’s the food – maybe I should have chosen a Yorkshire pudding. So, for the moment, Lofty it is. Now the sun’s come out he might actually get a few bandaids on the holes in his non-structural bits, and so get his steps back on. The wrap-around bumper looks a bit sad without them.